Cafe Britt is a brand and retailer of gourmet coffee and chocolate, based out of Mercedes Norte, Heredia, Costa Rica. 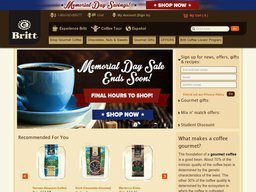 The privately held company sells its products from over 120 stores/cafes across South America and the United States, as well as through their online store at CafeBritt.com which ships worldwide. Here you can make purchases at a discount by using Cafe Britt coupons, a list of which we keep up to date here at Coupofy. Be sure to check back before ordering to find an offer or deal that suits you. Cafe Britt was founded in 1985 by Steve Aronson, a coffee trade broker form New York, who saw more money to be made marketing his own coffee locally and overseas. 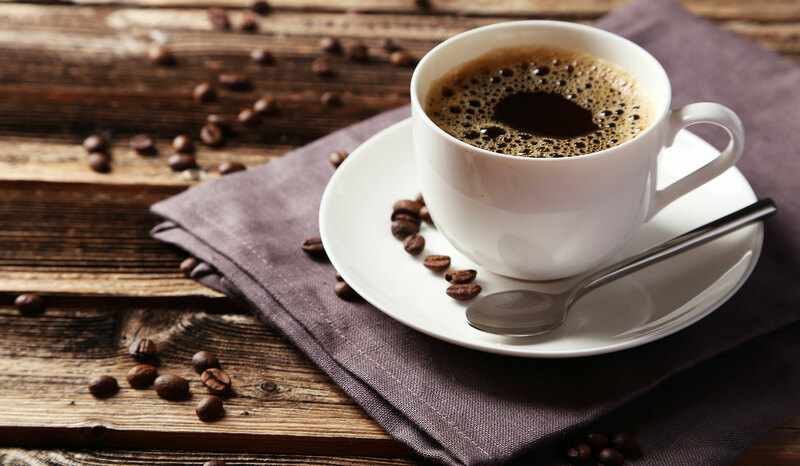 The company quickly expanded by striking deals with local hotels and restaurants o be their coffee supplier, before branching out in to supermarkets and eventually their own specialized stores/cafes. The website first went live in 1998 and has helped them target a global customer base. If you wish to make savings on your purchases you can redeem our Cafe Britt coupons or Cafe Britt promotional codes during the checkout process. Today the company makes over $100 million in revenue, with Phillippe Aronson serving as President and Pablo Vargas as CEO. The full range of Cafe Britt products can be purchased from the online store. These can be easily browsed via categories, or you can use the search bar if you know exactly what you want. There is also a separate page for special offers, so you are sure to make a bargain. We also list all the current offers in our list of Cafe Britt coupons and deals. Under the Coffee category you'll find Dark, Medium Dark, Medium and Light Roast, with beans sourced from Costa Rica, Columbia and Peru. These come in Organ, Decaffeinated, Fair Trade and Espresso, and you can also opt for both Single Serve, Whole Bean and Ground coffee. Cafe Britt also sell Coffee covered in Chocolate, Chocolate Covered Fruit and Nuts, Cookies, Candy, and gift sets. You can also buy plain Dark, Milk and White Chocolate products. To go with your coffee you may also want to purchase one of their French Coffee Presses. The online store allows users to make payments via Visa, MasterCard, American Express and Discover. You can also easily checkout using your Paypal account. By pasting a Cafe Britt coupon code in to the box at checkout you can make great savings off your order. You can only redeem one Cafe Britt promo code at a time. Cafe Britt ship worldwide from the single website, though all pricing is displayed in US dollars. Within the 48 contiguous US states standard shipping is free if you buy more than 6 bags of coffee, which will take up to 10 business days to arrive. Below this threshold you will have to pay a fee, and the faster options are charged based on the size/value of your order. These options include: 3 Day, 2nd Day and next Day. To calculate the cost you should add items to your basket, enter a delivery address and choose your desired delivery option. From time to time the store offers other free shipping deals, which you can find in our list of Cafe Britt coupons. Just look for the title Cafe Britt free shipping coupon code. Because regulations regarding the import and export of foodstuffs like coffee, Cafe Britt do not offer a return or exchange policy, but if you are unsatisfied with your order you can contact customer support and they may send a replacement. You can cancel any order before it is marked as dispatched from within your online account.